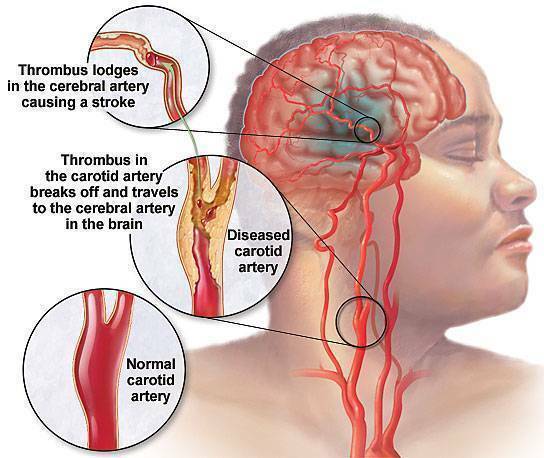 When the carotid artery is blocked, a stroke could take place. By knowing the facts about the disease, early treatment can be administered. 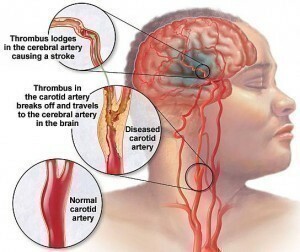 The best way to tell if there is a problem with the carotid arteries is by recognizing the symptoms of a stroke. These are collectively known as TIA (transient ischemic attacks). Among the minor and major symptoms are headaches, nausea or dizziness. Patients also feel a tingling or numbness in various parts of the body. Vision may be impaired. During a stroke paralysis may occur. Paralysis may affect the arm, leg or side of the face. In some instances the entire left or right side of the body is paralyzed. Fainting could happen. Some people may fall into a coma. The symptoms are very similar to most other heart ailments. A doctor will use a stethoscope to check for carotid artery problems. He / she will be looking for the sound of a bruit. Existence of the sound is only one part of the confirmation test. Other examinations will be performed. These include Doppler ultrasound imaging and MRI (magnetic resonance imaging). The ultrasound assesses the blood flow. The MRI provides a picture of the brain arteries. particular the arteries behind the eye are checked. Other examinations include arteriography and the DSA. DSA is digital subtraction angiography and is used to check for artery blocking. There are several medications that may be given. These include anticoagulants and aspirin. Anticoagulants are used to prevent a stroke from happening. Often these drugs need to be taken for life. The t-PA (tissue plasminogen activator) can be used to melt any blood clots. This medication is very effective but only if it’s given in the first three hours prior to a stroke. 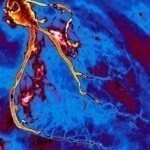 Other treatments include carotid angioplasty. 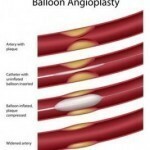 The process uses the balloon catherer to open up the artery blockage. The carotid endarterectomy is used to remove the plaque. 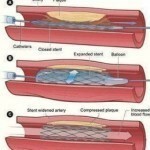 There are methods that can be used to relieve pressure from the arteries. There are also numerous medications that will be given to the patient. These will vary depending on the severity of the illness. Those with diabetes or other health conditions are given other types of drugs. The preventive measures are almost the same as that of a heart attack. These consist of keeping the blood pressure at the normal level and engage in regular exercise. Those without any heart conditions should exercise regularly three to five times a week. Jogging is also very helpful. Exercises also help keep the weight down. This is very important as obesity often leads to a stroke. Diet is crucial. Fiber rich foods and having plenty of vitamins are also essential. If the family has a history of strokes, regular checkups are mandatory. A lot of times, a stroke can be a fatal or a life changing experience. For this reason, knowing the symptoms of carotid artery disease is extremely crucial.